I have clearly neglegted my blog this year. I hope I will continue blogging soon to tell all about mt activities meantime. Now some Christmas photos. I actually found a department store window which was designed for Christmas. 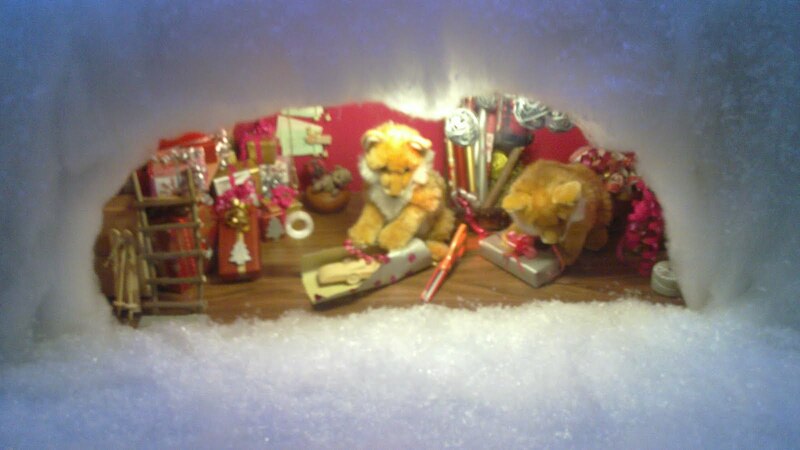 When I was a child it was more usual but stores have given up these themed windows. Our Christmas tree is very thick this year! Thank you Tuula and Hannu! Taking photos of the dogs was not very succesful. The best one I got when I had actually given up. The beautiful lights on the graveyard. 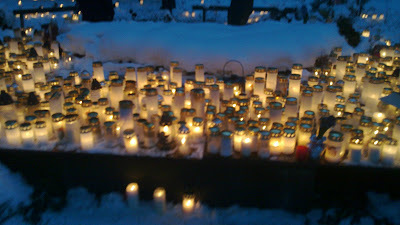 We went there to light candles for my father, grandmother and aunt. This is a place where they don't put stones with names on them. My family has preferred this option.